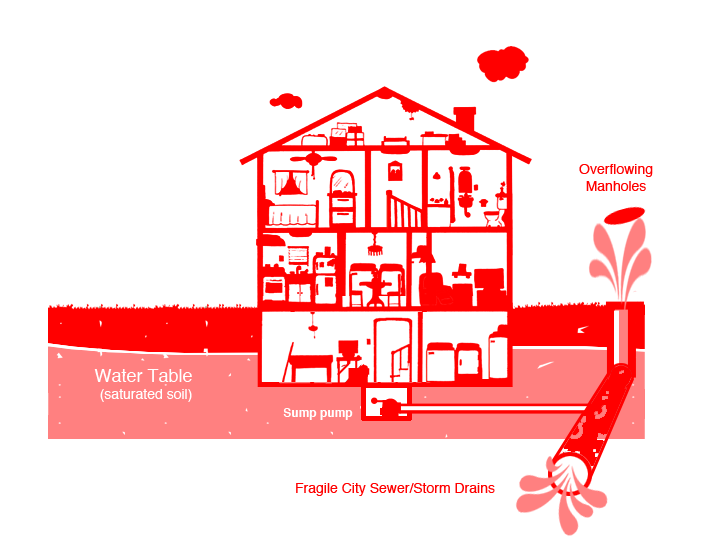 While it’s true, connecting sump pumps directly to city sewer and storm pipes is restricted, in practice, illegal connections are widespread and difficult for inspectors to monitor. Some think “dry wells” are the answer, however, these passive structures only work after extended dry spells and fill up quickly in the spring and other times when the water table is high. Better planning, and closing the basement FAR zoning loophole would help mitigate these serious issues. 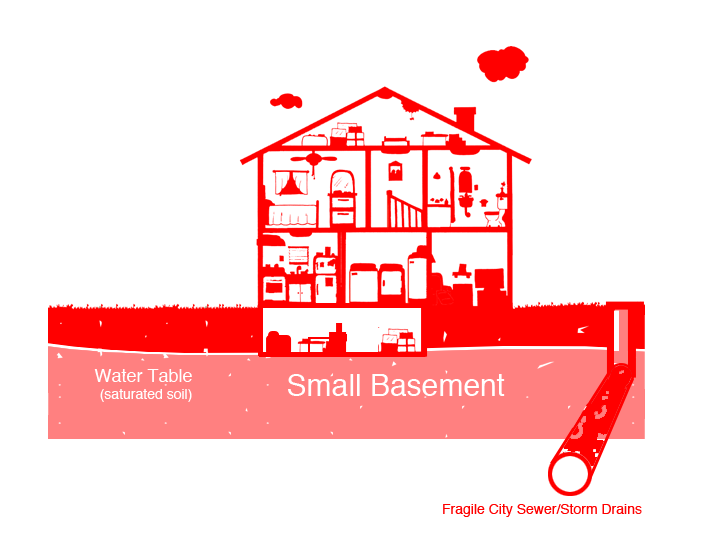 Large basements put extra stress on the city's fragile storm and sewer system. Large basement being built below water table in Rye. 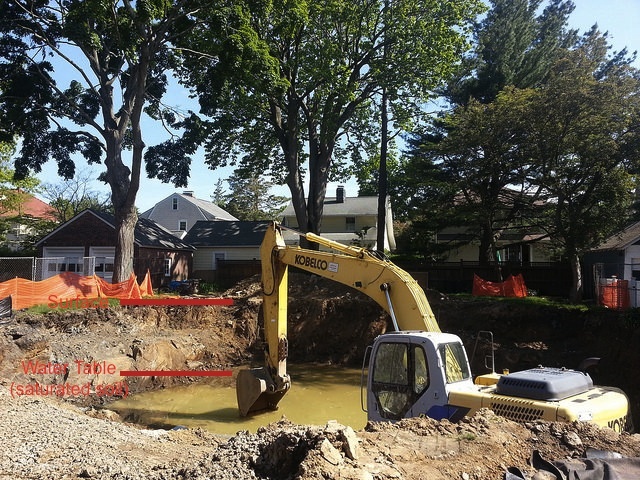 This basement is functionally equivalent to a well; one way or another, this water will end up being pumped into Rye's fragile sewer and storm drains. Example of overflowing manhole caused mostly by sump pump outflow. 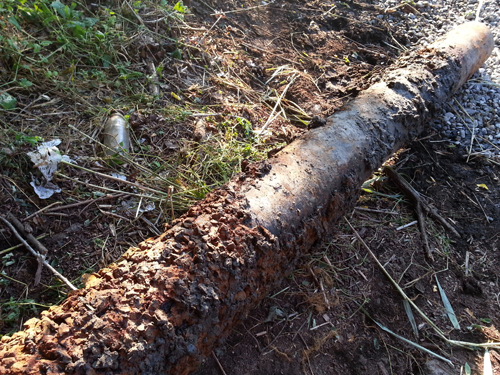 Example of crumbling Rye sewer pipe uncovered in 2013. 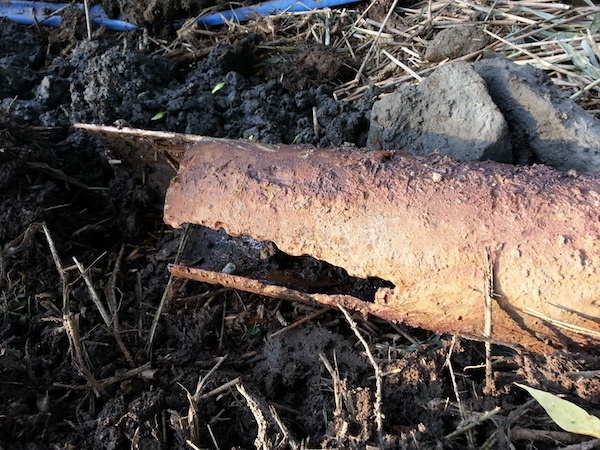 Cracked sewer pipe uncovered in Rye, 2013. 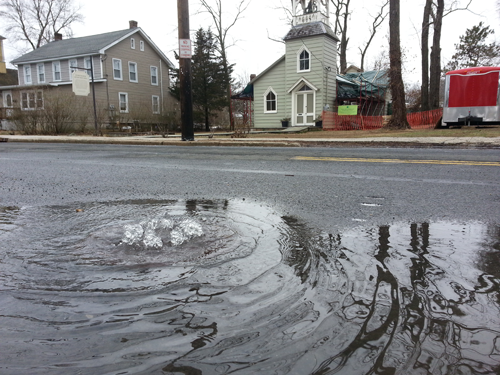 Rye's sewer and storm drain system is old and in disrepair. 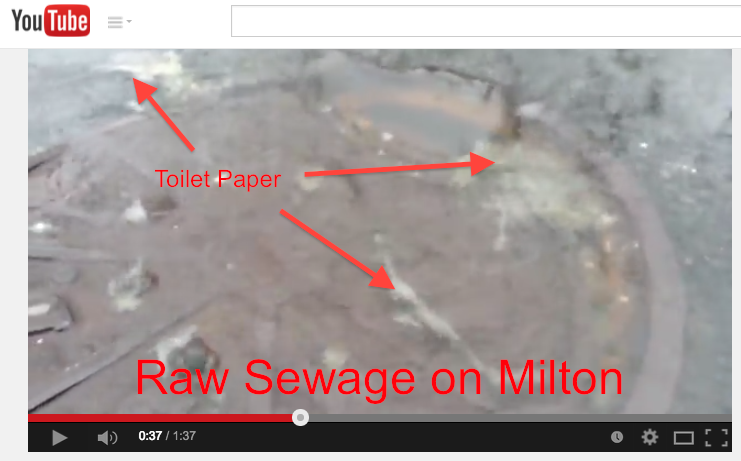 Toilet paper and raw sewage flowing out of a manhole in Rye. 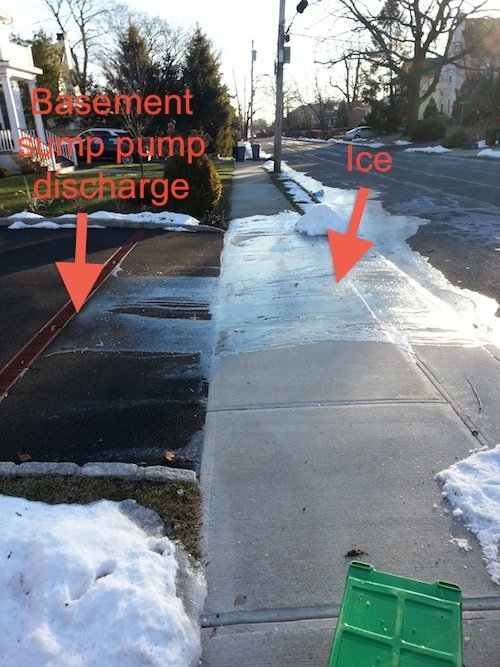 Basement sump pump discharge turns to sheet of ice.